"The Battle Of The Mad Scientists And Other Tales Of Survival"
"Harry Potter And The Sorcerer's Stone (J.K. Rowling) "
In her picture book debut, Balouch's electric compositions resembling cut-paper collage bring a distinctive verve to three original tales inspired by folklore. The artist's arresting, often swirling perspectives and bold use of solid colors make a lasting impression. First up in the text is Caribbean-influenced "The Fiddler and the Dancin' Witch," featuring a boy who faces a witch in a dancing, fiddling showdown in order to win a magic fiddle. The witch, sporting dreadlocks and kicking up her heels in a red skirt adorned with fish bones against an olive-green backdrop, is one of many memorable images here. In "The Lesson of the Land," a Native American boy on his vision quest learns the importance of respecting the earth. And from the European tradition, "The Face in the Lake" stars a beautiful maiden who comes to recognize that love truly is blind. Though the evocative tales each hold their own on the page, this volume serves as a companion to an audio CD from Sony Classical (see Children's Audio/Video, Aug. 9) containing musical interpretations of the stories by three composers and narration by Marsalis and actors Graham Greene and Kate Winslet. Enjoyed alone or with its audio counterpart, this mini-collection provides an imagination-stretching jaunt for readers and listeners. All ages. (Sept.) Copyright 1999 Cahners Business Information. 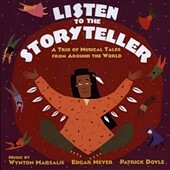 This multicultural collection of children's stories -- as the subtitle puts it, "a trio of musical tales from around the world -- boasts an all-star cast of readers, musicians, and composers. Each folk tale is in the neighborhood of 20 minutes long and has its own soundtrack performed by the Orchestra of St. Luke's. "The Fiddler and the Dancin' Witch" tells the story of a boy who disobeys his father and plays the father's magic fiddle, which produces a dramatic confrontation between the boy and the witch who claims the fiddle is hers. It climaxes in a feverish contest in which he has to fiddle longer than she can dance to retain the valuable violin. The lively music is penned by Wynton Marsalis, who also narrates with a friendly drawl; violinist Joshua Bell stars in the lively solo role. "The Lesson of the Land" is a Native American story about three boys on a journey searching for the spirit animals who'll guide them through life and help them become men. Native American actor Graham Greene, known from his role in Dances with Wolves, reads the story over an atmospheric soundtrack by Edgar Meyer, who also stars as the bass soloist. Dobro player Jerry Douglas also solos. Titanic actress Kate Winslet, the most famous of the three narrators, is featured on "The Face in the Lake," a fairytale-like story about Winter kidnapping Spring. Patrick Doyle, who composed the soundtrack for Sense and Sensibility (among others), provides a dramatic score in classic Hollywood style. The texts of all three stories are included in the CD booklet, and can also be found in book form (published by Viking) with full-color illustrations. This CD may contain unfamiliar stories, but it's a rich and varied experience that's about as well-done and stimulating as the genre gets. The press release that accompanies this CD, which bears the title Listen to the Storyteller, claims that these pieces are "inspired by Prokofiev's Peter and the Wolf." The three works are about the same length as Prokofiev's, and, like Peter, they are for narrator and orchestra and are designed for children. But here the similarity ends. Winton Marsalis has fashioned an attractive piece around a simple story with a moral about why children should heed the voices of their elders. The piece seems to be inspired by Stravinsky--Neoclassical rhythms and harmonies abound. And the extensive use of the solo violin--played wonderfully here by Joshua Bell--and a recurring, repetitious violin figure over a pizzicato bass strongly suggest L'Histoire du soldat. The opening section, "Island in a Deep Blue Sea," and the music accompanying the witch's dance are extended movements that work within the context of the story and remain good, solid pieces of music as well. The second work, by bassist Edgar Meyer, tells a tale that teaches respect for nature. Here, too, there are soloists: Meyer himself on bass and Jerry Douglas on dobro. The music is often effective, especially the interesting scalar passage that represents the three young Native Americans starting out on their journey. The third work by Patrick Doyle, best known for his work in film, is a more conventional fairy tale about a beautiful princess. The music has a cinematic sweep to it that is nicely tailored to the story but somewhat predictable and a bit sentimental. 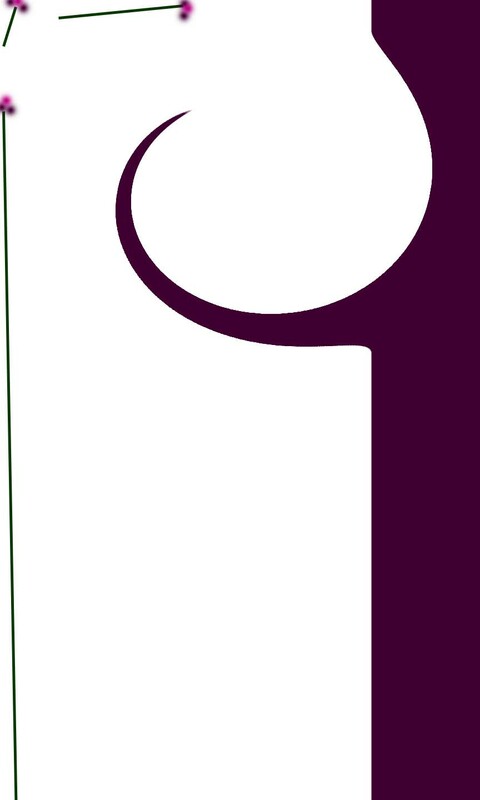 Nowhere on the disc or in the press release are the authors of the stories credited. (Sony is apparently planning a companion book, which will, I am sure, give us this information.) While all three stories are interesting, with the music skillfully enhancing the narratives, the most satisfying work on the disc is by Marsalis. Unlike the others, it consists of a number of substantial movements; these offer a nice break from the narration and, most importantly, sometimes allow the music to tell rather than merely illustrate the story. The performances are polished and the recorded sound is excellent. While the narrators are all good, actor Graham Greene (not the novelist) in Meyer's piece is outstanding. He tells his story with a good deal of variety, giving voice to the characters and emotions in a way that thoroughly involves the listener. Kate Winslet has excellent diction and a pleasing manner, but her performance is a bit monochromatic, mostly using a hushed, ghost-story-round-the-campfire voice that often seems to have been recorded without the music. Whether any of these three pieces will attain the enormous popularity of Peter and the Wolf is hard to say, but then such a decision is better left to children. These are attractive pieces built around interesting stories, and I imagine and hope that children will, as the title suggests, "listen to the storyteller" rather than the critic. Three original folktales take readers on a journey around the world. Drawn from the Celtic, Afro-Caribbean, and Native American cultures, these short stories deal with universal values. In ``The Fiddler and the Dancin' Witch,'' Simeon learns the hard way that he should listen to his elders; in ``The Lesson of the Land,'' two boys find their spirit vision but the third, for his heedless ways, becomes a snake; in ``The Face in the Lake,'' Cruel Winter kidnaps his springtime-bearing sister Olwen, keeping her and the world in his icy grasp. Just how the last two stories fit in with the ``musical tales'' of the subtitle isn't clear, and Wynton Marsalis's introduction is generic at best. The text is uneven, but the brightly colored, detailed illustrations will appeal to children. (Folklore. 5-9) -- Copyright ©1999, Kirkus Associates, LP. All rights reserved. Inspired by Afro-Caribbean, Celtic, and Native American lore, this engaging trio of original stories comes to vivid life in stunning, collage-like illustrations by Kristen Balouch. In addition, each story has been interpreted through specially commissioned music (available on a separate CD or cassette from Sony Classical*) by three of today's most well known composers--Wynton Marsalis, Patrick Doyle, and Edgar Meyer. The result is a unique storytelling experience that also provides the most refreshing way in which to introduce children to classical music since Peter and the Wolf. Kristen Balouch is a designer and illustrator. This is her first book for children. Wynton Marsalis is a Pulitzer prize-winning composer, musician, and author of two previous books on music: Sweet Swing Blues on the Road and Marsalis on Music (both Norton).